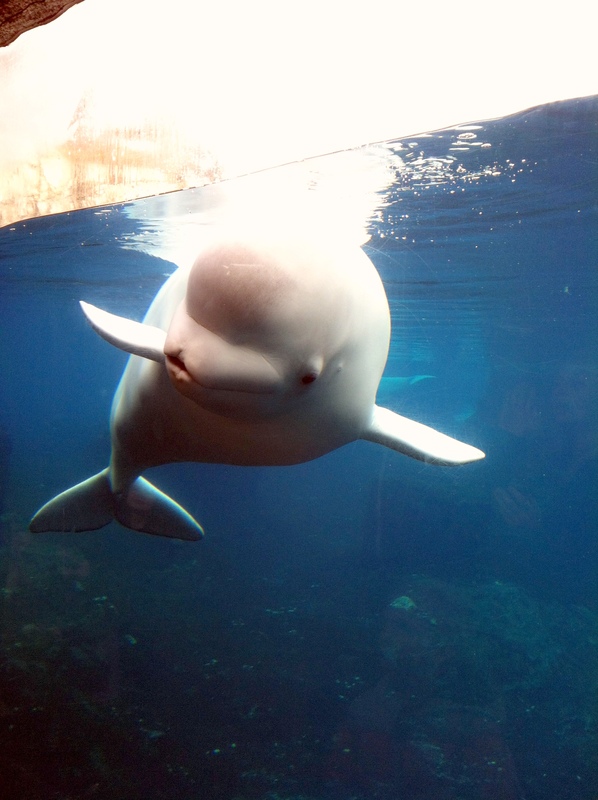 When were first got there, one of the whales kept kissing the glass and I couldn’t stop laughing. They just melt my heart! 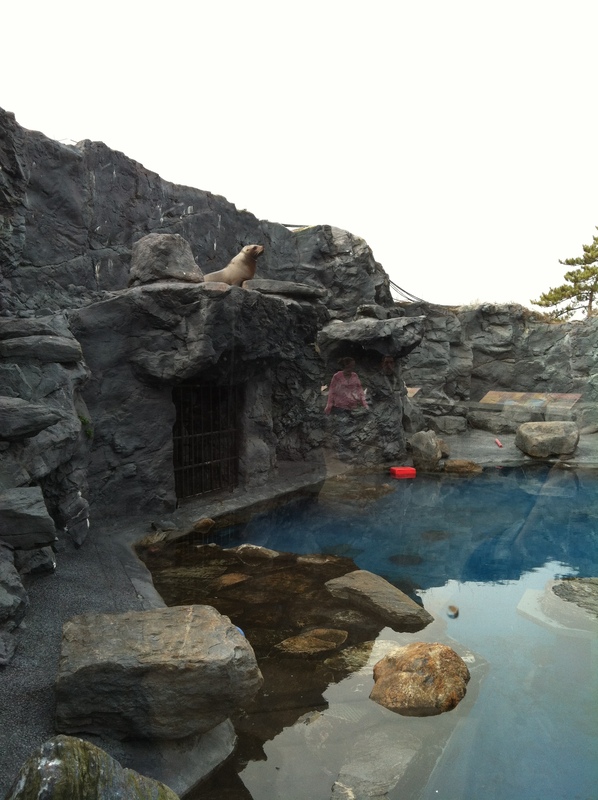 Aside fromt the beluga whales, they had a few other outside exhibits including sea lions and Stellar seals. 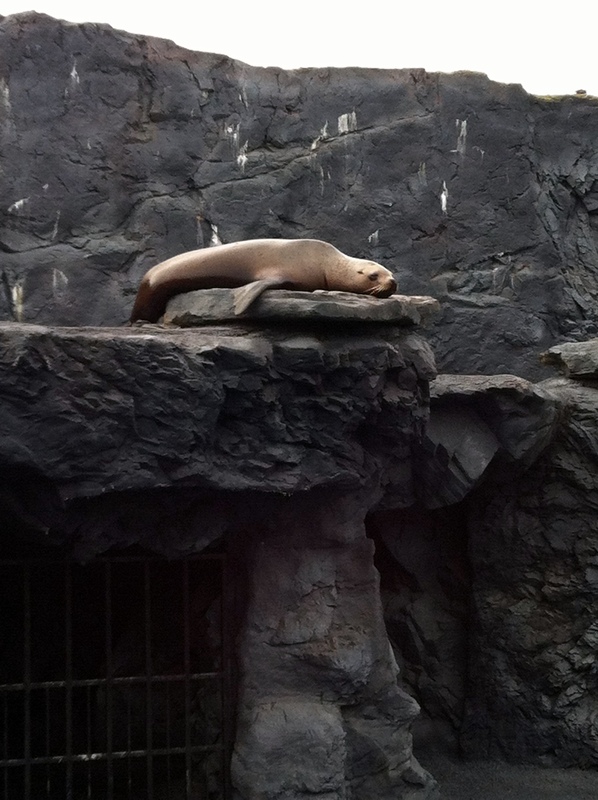 Although the sea lions weren’t too entertaining, the Stellar seals were too silly. One of them had climbed up the stairs onto and upper level and wasn’s sure how to get down. He kept looking down like we was going to dive into the water but wouldn’t. I think getting up there might have worn him out a bit. Doesn’t he look pooped? The aquarium also had penguins which we happened to visit during feeding time. 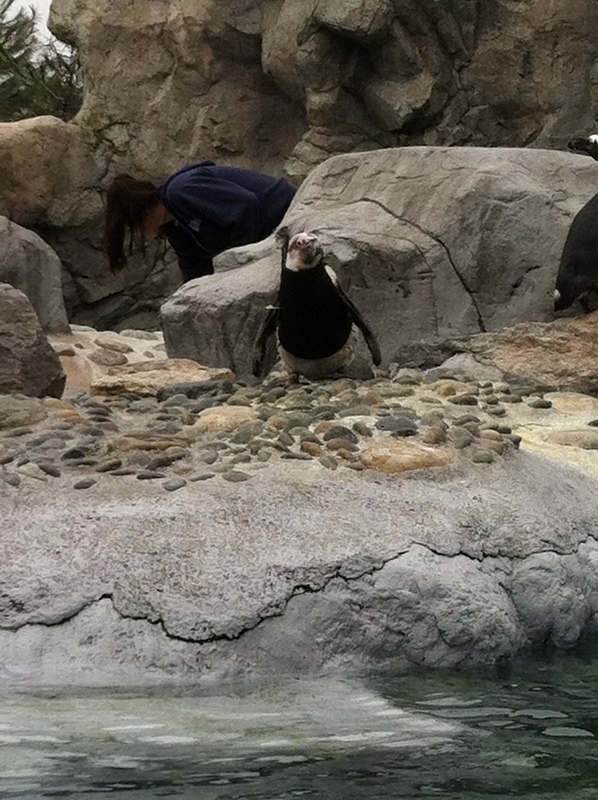 Mom noticed that one of the smaller penguins had a mini wetsuit on and was shivering. One of the staff members explained that he had started to molt but never finished losing his baby feathers. She said his adult feathers were just growing in a bit slower than they normally would. We hung around the aquarium for a few more hours before grabbing a quick bite and heading home! I honestly couldn’t have asked for a better weekend away with Momma Bear and I can’t wait for the next girls weekend away! I hope you all have a great rest of the day! 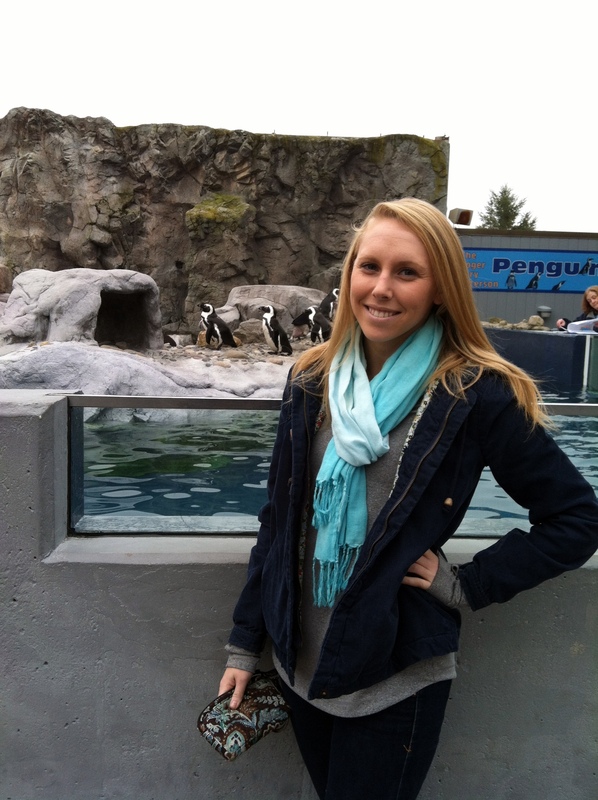 Do you enjoy going to aquariums? What’re your favorite animals to see?